Longview - Green Day - International Superhits! Macy's Day Parade - Green Day - International Superhits! Maria - Green Day - International Superhits! Nice Guys Finish Last - Green Day - International Superhits! 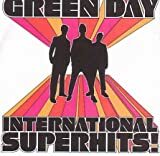 She - Green Day - International Superhits! Stuck With Me - Green Day - International Superhits! Walking Contradiction - Green Day - International Superhits! Welcome to Paradise - Green Day - International Superhits! When I Come Around - Green Day - International Superhits!